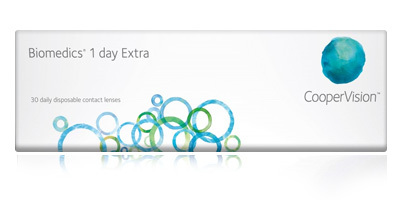 Manufactured byCooperVision, Biomedics 1 Day Extra lenses are specially formulated for superior comfort and convenience. Wear them for up to 16 hours and experience freedom from glasses without irritation. Many daily contact lenses have a water content level of between 46% and 50%. CooperVision's Biomedics 1 Day Extra lenses contain 55% water, which means better breathability and hydration. A higher water content allows more efficient oxygen delivery; important for healthy eyes and maintaining a high level of vision. Custom designed to reduce lid to lens interaction, they also feature an optimised base curve, which keeps them in position on the eye and gives a better fit. UV blocking protects eyes from the potentially damaging effects of the sun’s rays. 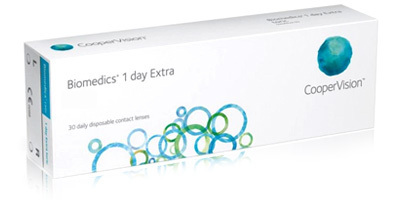 Biomedics 1 Day Extra daily disposables make a particularly good first time lens as they feel so natural. These are lenses help keep eyes comfortable and healthy. No cleaning required; just dispose of them at the end of a long day. 8.6 Base Curve for Minus (-) prescriptions and 8.8 for plus (+) prescriptions. 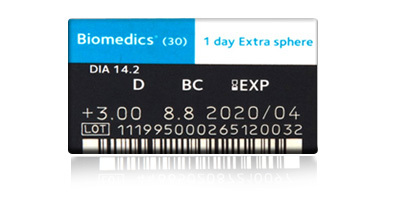 These lenses are the recommended replacement for Biomedics 1 Day which have now been discontinued. Please contact us on 0330 088 3133 with any enquiries regarding these daily disposable lenses and any other products featured on Lensite.co.uk. 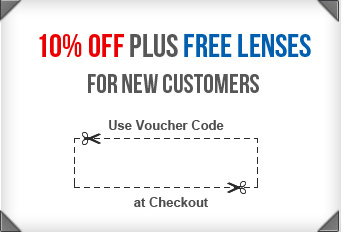 Place an order for CooperVision Biomedics 1 Day Extra lenses with us and get fast delivery to your doorstep. 98% of orders are usually despatched on the same day as placement.